Nicolas Jenson was an early printer and typographer. Born in 1420 in Sommevoire, France, he is known to have promoted, and invented, the Roman typeface. His contributions of the Roman type and prints improved the process of movable type. He became a Master of the Mint in Paris. The French king summoned him in 1458 to Mainz (a town in Germany from the Middle Ages) to gather information on the art of type founding. The king was likely to use this information to better France’s reputation. After giving the king the information he discovered on type in Germany, Jenson moved to Venice and published various texts and typefaces, them being a Roman font, a Greek typeface and a Black letter font. His Roman typeface was used for Eusebuis’ De Evangelica Praeparatione, printed in 1470. This type was based completely off of calligraphy and paired with colorful illustrations from an unknown illustrator. 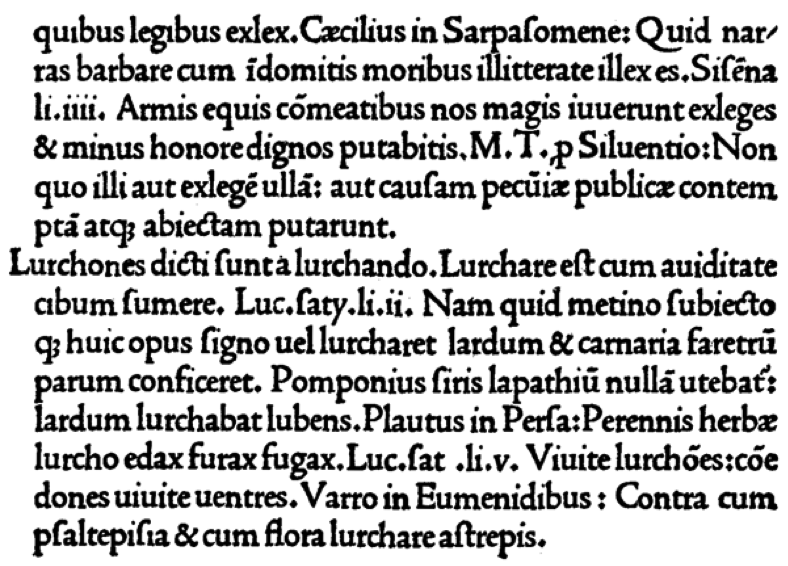 Jenson’s Greek type was used in an Ars Grammatica book printed in 1475. His Black letter font was featured in Biblia Latina in 1476.